There are 29 recognized crus in the Serralunga Alba zone. We can only mention some of the most famous here. Coming from Alba, on the left, on the border with the Diano dÊ¼Alba township is La Rosa, 9 hectares on asteep slope with excellent exposure, producing an elegant Barolo. Driving towards the town we come to Baudana and Cerretta, then Prapò, 7 hectares of perfect exposure that give tannic, structured wines. Right after Prapò is a hill where the most interesting and well-known vineyards of Serralunga are found: Gabutti, Parafada, Delizia and Lazzarito. Historically, the quality of these grapes has always brought a higher than average price. Near the town center, to the west, Marenca and Margheria are both extraordinarily beautiful and in excellent positions. 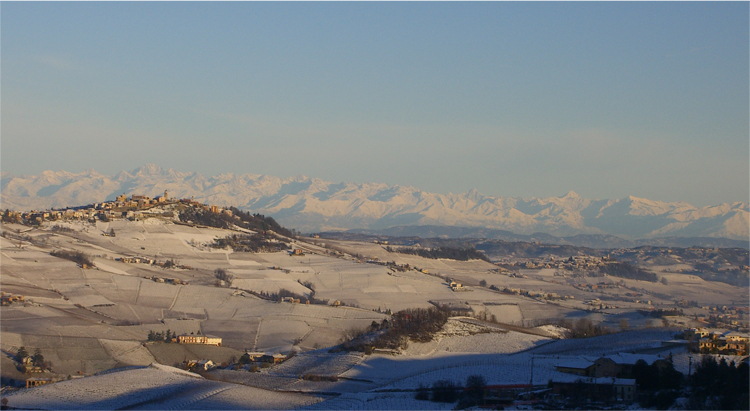 Nearby, the town at your back, on the right is Vigna Rionda, an historic vineyard of over 10 hectares, mostly facing south. Its wines are noted for their grand structure, sustained tannins and marked longevity. 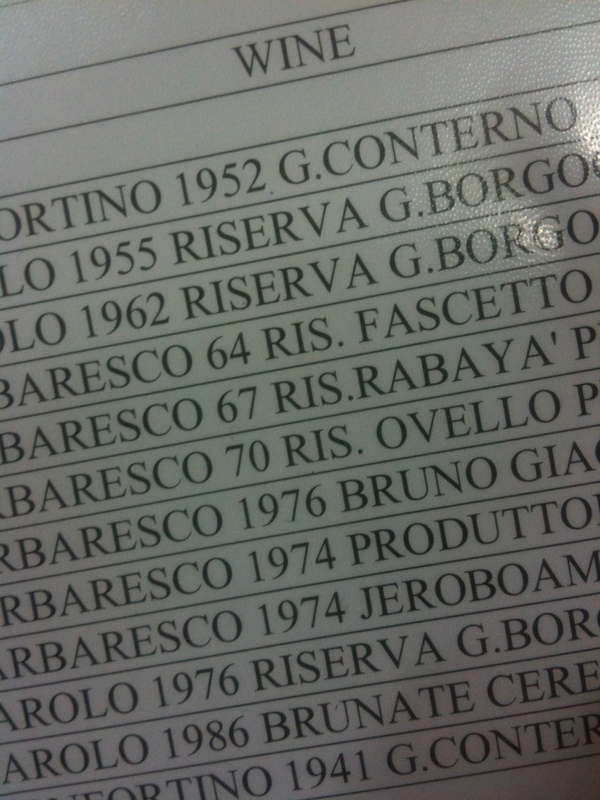 Continuing on the road to Roddino, we find Briccolina, Ornato and Falletto. Further, almost at the edge of the Serralungazone, facing Ginestra di Monforte, is Francia with almost 10 hectares. 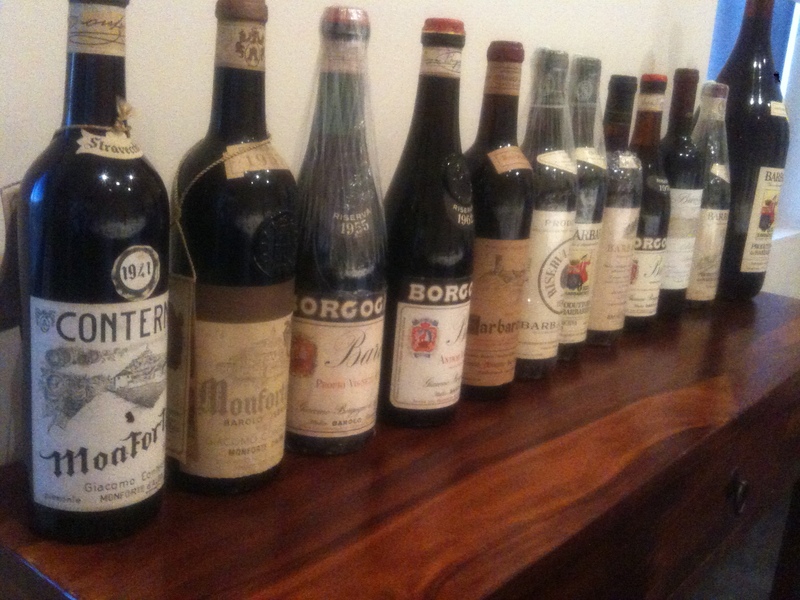 Rionda, or Giacosa and Collina Rionda, made until 1993, or Vietti and Lazzarito, Ceretto and Prapò, Brovia and Ca’ Mia, Conterno and both Cascina Francia and Monfortino. 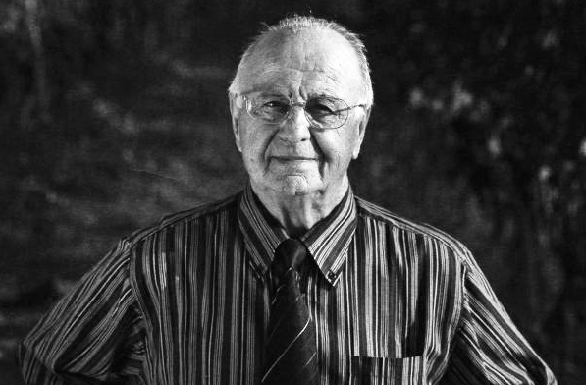 Augusto Cappellano is the fifth generation of the family to produce wine from vineyards in Serralunga d’Alba. His great-grandfather, Filippo, acquired substantial acreage there and, in 1870 established the azienda. At his death, his son, Giovanni, an oenologue, continued his father’s work, selling their wine to clients from Liguria through Piedmont. Giovanni’s brother, Giuseppe, was a pharmacist who created the family formula for their famous (then and again now) Barolo Chinato, the Barolo infused with a variety of “medicines”. Giovanni died in 1912 from a tropical fever contracted in Tunisia, perhaps while he was looking for vines that were not susceptible to phylloxera. Giuseppe then retired from his pharmaceutical chores to run the estate and he decided to sell his grapes to the Gancia company, one of the major wine producers in the Langhe. To continue the story, Giuseppe passed away in 1955. Shortly thereafter, Augusto’s father, Teobaldo, who was born and raised in Eritrea, returned to Serralunga to revive the azienda. He rebuilt the cantina and the image of Cappellano as well – this time much smaller in size (four hectares) but far more grand in quality. In his turn, he also produced once again the extraordinary Barolo Chinato using the ancient family recipe, all the while becoming one of the most admired and respected figures in the Barolo district. Augusto now takes the reins and will now place his special mark on the wines of this estate. We are very pleased to begin our collaboration with Augusto Cappellano. 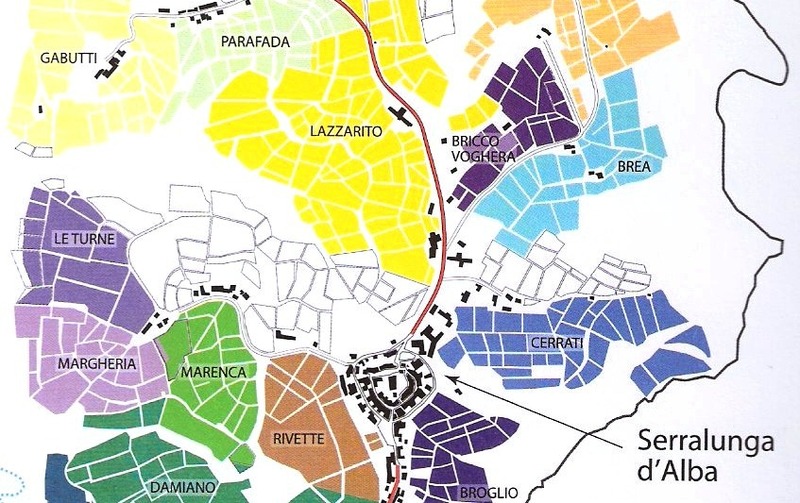 The four hectares of vineyards owned by the Cappellano family are principally in Serralunga d’Alba and are supplemented by a small parcel in the neighboring village of Novello from which Cappellano produces his Nebiolo d’Alba. The vineyards in Serralunga are situated in the Gabutti cru which is on the western slopes of Serralunga at approximately 300 meters altitude. The land is farmed according to organic principles and the production of the wine is accomplished following the credo of “Vini Veri”: indigenous yeasts are relied upon, the use of sulfur is strictly limited, vinification is traditional (long fermentation, extended aging in large, old botte) and the wine is not filtered prior to bottling. The Barolo Chinato is produced by following the family recipe handed down generation to generation. The “medicinal” herbs and spices are ground using a stone mortar and pestle. Both the recipe and the process are family secrets. Though most histories of the famed Giacomo Conterno estate begin with its namesake, the estate was founded by his father, Giovanni Conterno, in 1908. Giovanni placed emphasis on making premium quality Barolo only in great vintages using long fermentation and aging periods to create the best aging potential. Giovanni taught his son, Giacomo, well, and when he returned from serving in WW I, Giacomo had a vision to make a Barolo that would age for decades. 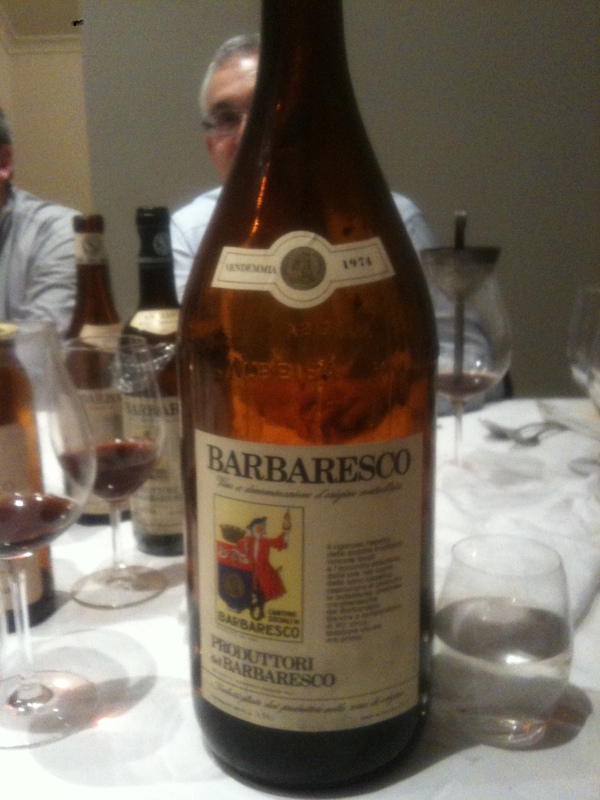 Previous to Giacomo Conterno, winemakers made and sold Barolo in cask or demijohn. It was a wine intended for early drinking. In the 1920s, Giacomo realized his vision through extending the grapes’ maceration time and aging the wine in large, old wooden botti. The estate managed to stay afloat and even prosper over the years thanks to the Italian tradition of giving Barolo as a prestigious Christmas gift; like just a few other producers, they had substantial orders from companies such as Fiat and Pirelli to feed their success. In the early ‘60s, Giacomo decided to pass the winery to his sons, Giovanni and Aldo, passing on his credo: “Only premium quality can bring prestige to the Langhe.” Giovanni and Aldo worked together until 1969, when Aldo branched off and founded his own estate, the Poderi Aldo Conterno. Giovanni brought his son, Roberto, to work with him in 1988, and Roberto took control of the estate upon his father’s passing in 2004. Known for its superb long-lived wines, this estate recently narrowed its focus strictly to Nebbiolo and Barbera. 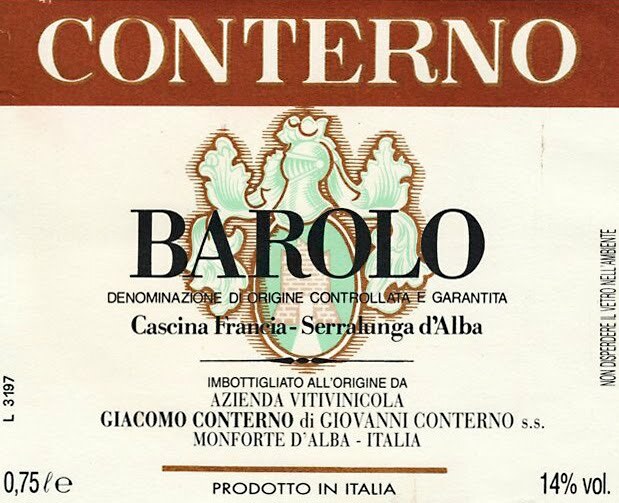 Giacomo Conterno uses only the highest quality grapes from Cascina Francia in Serralunga d’Alba for their two famed Barolos: the ‘Cascina Francia’ and the legendary ‘Monfortino’ Riserva. The densely planted Francia vineyard has southwest exposure and is about 400 meters above sea level. Grapes gathered here offer deep tannins, creating ideal cellaring wines. Recently, the estate has added a third Barolo, Cerretta, from a Serralunga vineyard that it bought in 2008. Romano Marengo founded Ca’ Rome’ in 1980, and though he was only 46 years old at the time, this warm, wonderful man already had three decades of professional experience in the wine world behind him. The Ca’ Rome’ philosophy starts with the name. Ca’ is short for casa, or home, and for the Marengos the winery is their home and their family. Romano is flanked by his wife, Olimpia, and their enologist son Giuseppe, who assists him in styling the range, and daughters Paola, who is in charge of PR and Marketing, and Maria. The first impression of Ca’ Rome’, is a quiet, country-home air, made for leisure and family life. It is easy to see Romano grew his children and his wines with the same sterling discipline, the same sense of excellence and impeccable standards. Ca’ Rome’ is a home to classic red wine-making, and to the very finest quality in life, as in wines. The cornerstones of the Ca’ Rome’ philosophy are the most rigorous grape selection, state-of-the-art vinification, and attentive élevage in oak, both 25-hectoliter Slavonian barrels, and French barriques. The family’s focus on simplicity, sincerity, and kindness is exuded in everything they do, from crafting the wines to entertaining visitors at the winery. Today Ca’ Rome’ covers 17 acres under vine, five of the acres are rented and run by the Marengos as Piedmontese vineyard space is notoriously hard to come by. 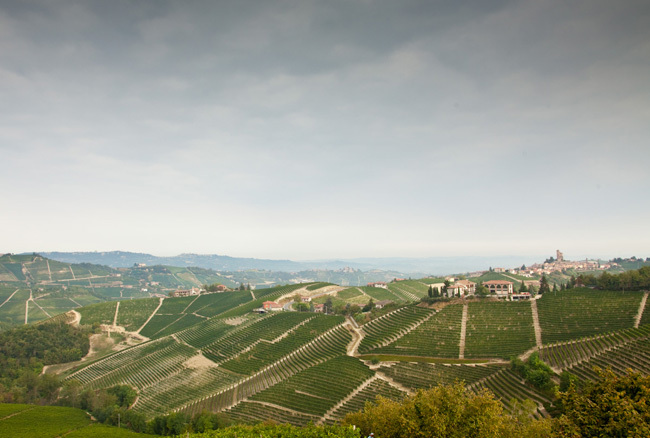 The vineyards are partly located at Barbaresco, partly atSerralunga d’Alba, in Barolo territory. There are three crus: the Rabajà cru, the Rio Sordo cru, famous for Barbarescos of great finesse, and, in Barolo territory: the Serralunga cru, renowned for structure and magnitude. Luigi Pira Barbera d’ Alba 2011: high in alcohol which stands out on the palate. Needs time to loose it’s puppy fat and even then will be an each way bet. Giacomo Conterno Barbera d’Alba 2011: also high in alcohol but balanced. Lovely wine, high in acid but balanced. Could drink this young or old. Cappellano Gabutti Barbera d’Alba 2009: good, touch of brett masking some of the fruit. Well balanced. Ca’ Rome Rapet Barolo 1990: Looking good, quite broad but fruit, acid and tannins all in great nick. Still got some years left in it. 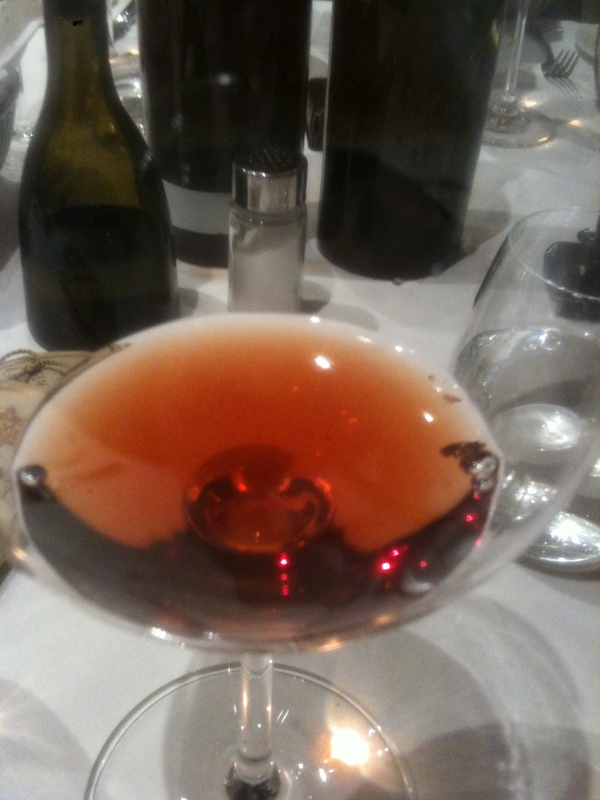 Fontanafredda Vigna La Rosa Barolo 1990: Looking great, lovely wine, tannin and impressive. Awesome. Cappellano Otin Fiorin Gabutti Barolo 1996: Beautiful nose, traditional and still quite tannic. Lovely. Massolino Viogna Rionda Parafada Barolo 1996: Youthful, still quite closed, needs time to open up but fantastic wine. 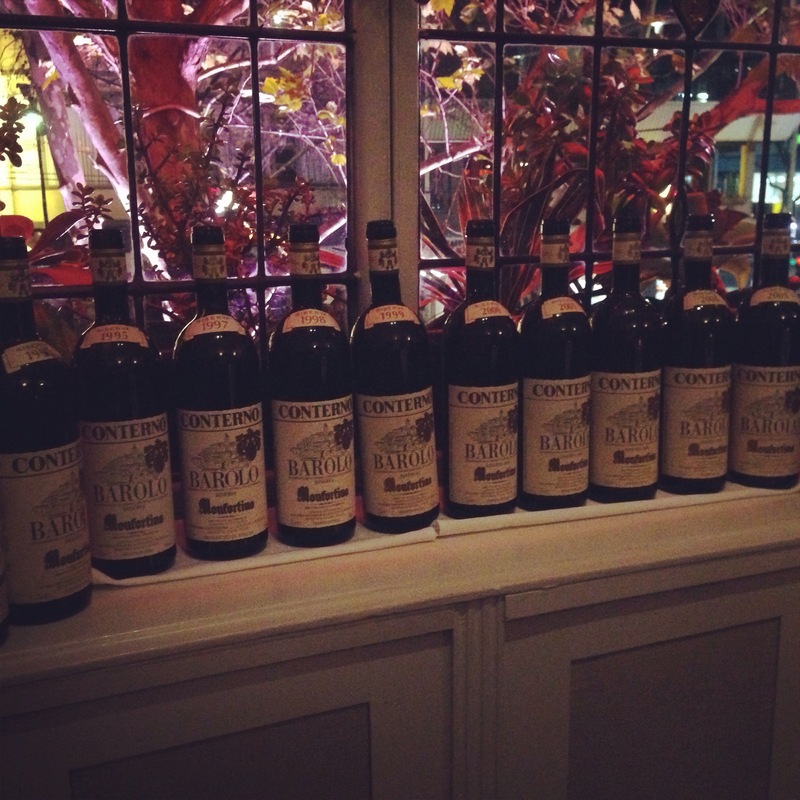 Giacomo Conterno Cascina Francia Barolo 2000: awesome, in the grove. Still a few years to go before hittings it’s prime. Will be long lived. 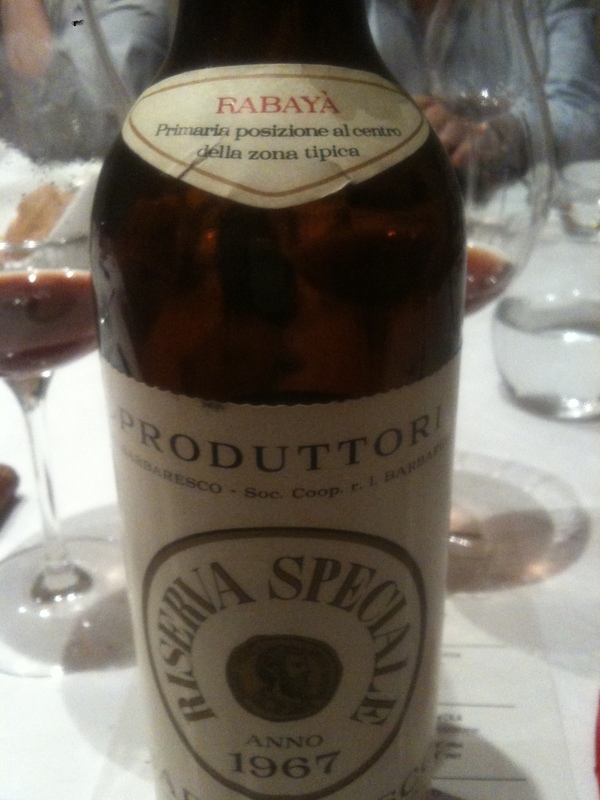 Fontanafredda Vigna La Rosa Barolo 2000: commercial style, opposite in style to the 1990. Lacks depth and complexity. Giacomo Conterno Cascina Francia Barolo 2005: just starting to open up. More like a three year old wine than nine. Can’t wait to see it in another ten years. Giacomo Conterno Cascina Francia Barolo 2007: closed but riper fruit. Not my favourite vintage and it shows even with this magical producer. Luigi Pira Margheria Barolo 2008: high toned, still young but not my style of Barolo. Massolino Margheria Barolo 2008: beautiful wine, in the groove even from a young age. It needs time but will be a classic. Cappellano Otin Fiorin Pie Rupestris 2008: just at the start of it’s journey and will develop like the 1996 Cappellano. Great wine and great producer. 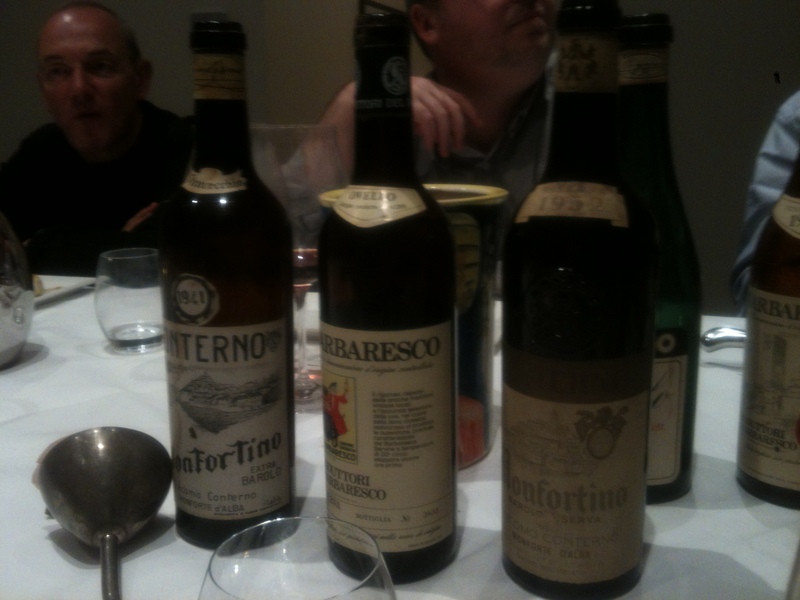 Cappellano Barolo Chinato: The doctor, the original and the best. Love Chinato to finish the meal. 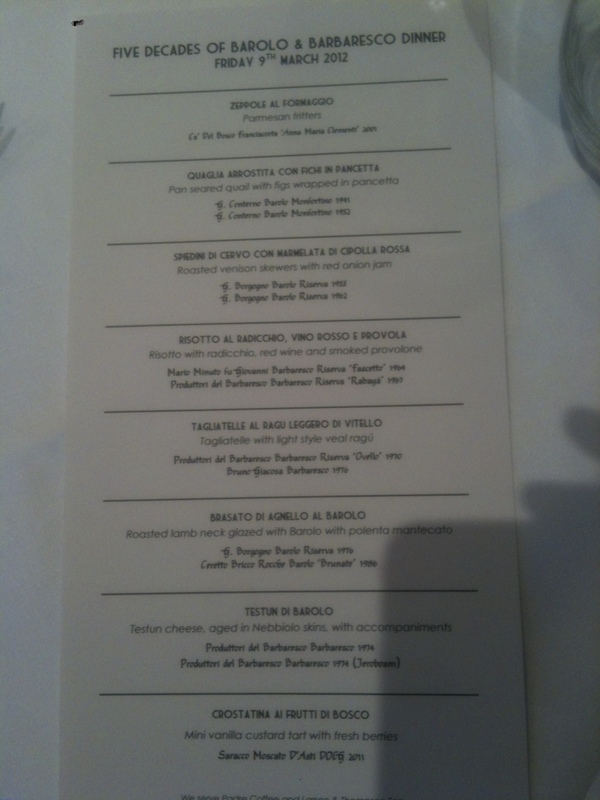 In the next few days I will post all my notes on the Aldo and Giacomo Conterno dinner I hosted at Scopri. 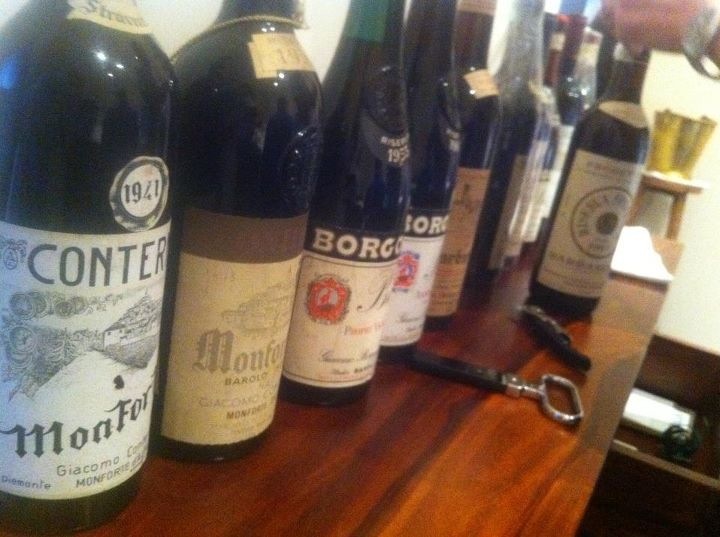 It was an amazing night with so many amazing wines. On Thursday the 18th of October at Scopri Food and Wine, I will be running the second of a series of dinners’ looking at the best winemakers and best wines of Italy. Their father was the acclaimed Barolista Giacomo Conterno, one of the denomination’s twentieth century pioneers who in 1920 began bottling the family’s Barolo Riserva, so heralding the birth of Monfortino, arguably Barolo’s most iconic wine. In 1961, Conterno and his brother Giovanni inherited the Giacomo Conterno winery; the two brothers went their separate ways in 1969 and Aldo created his own estate, Poderi Aldo Conterno, in Bussia in Monforte d’Alba. ‘Aldo Conterno was really a great man. 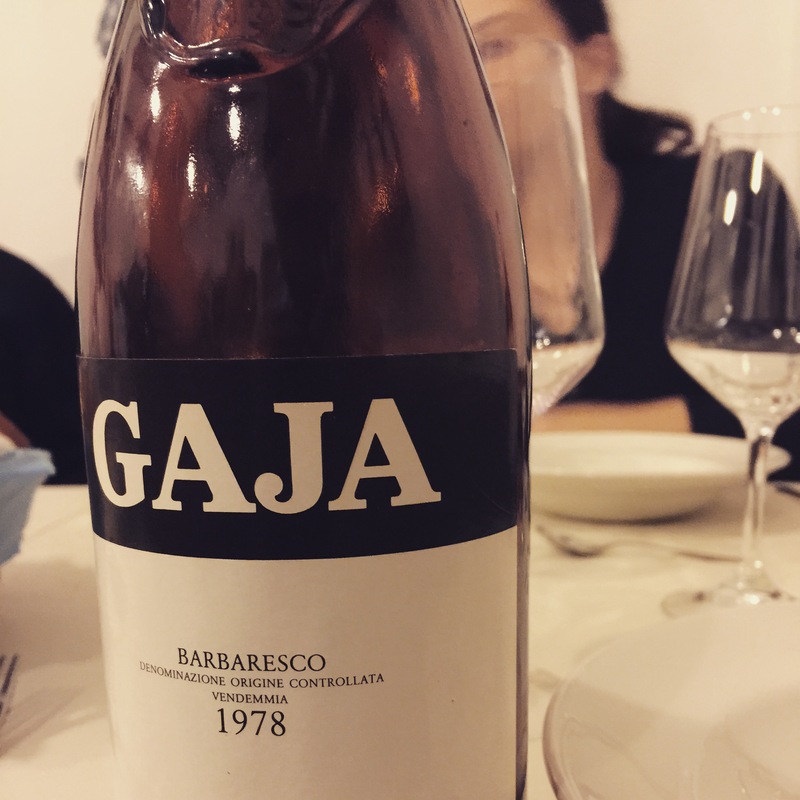 He made Barolo history over the last fifty years by continuing to take the reputation of this unique wine to its highest level,’ said Pietro Ratti, a Barolo producer and president of the Consorzio di Tutela Barolo Barbaresco Alba Langhe e Roero. 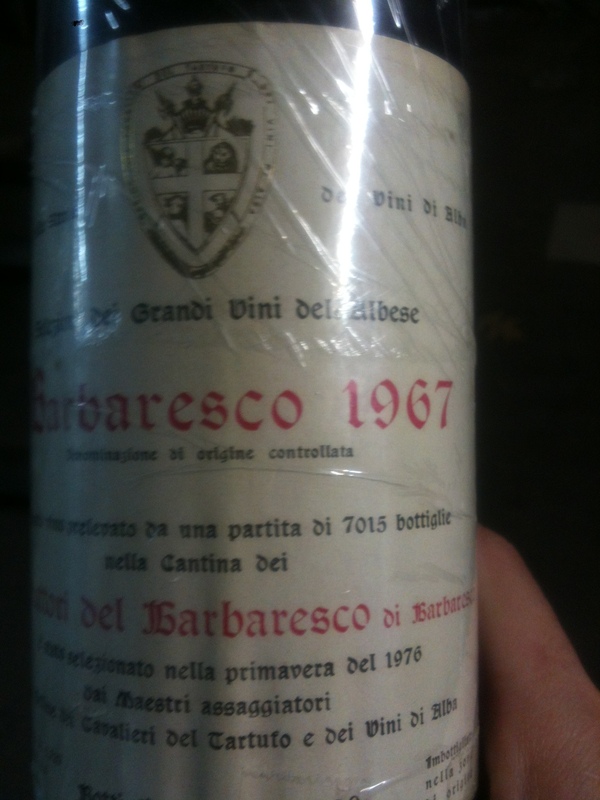 One of the secrets of Conterno’s success, besides owning prime vineyards, was his open-mindedness, a quality few other Barolo producers from his generation possessed, and a trait which perhaps originated when Conterno moved to California in the 1950s to help his uncle establish a winery. Soon after arriving however, Aldo opted to complete his mandatory Italian military service in the US Army and served during the Korean War. By the time he got out, his uncle had abandoned the winery venture and Conterno returned to Piedmont. Aldo became known for balancing tradition with new techniques. 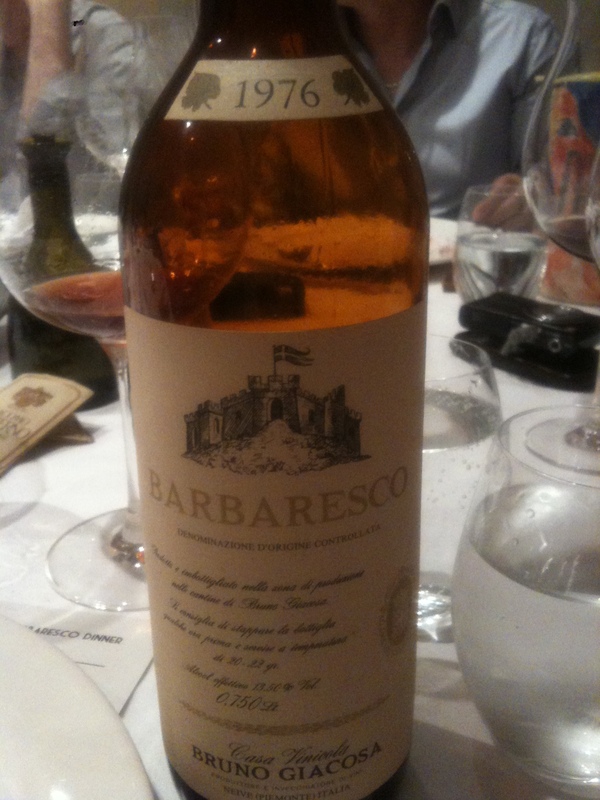 By the 1970s, in an effort to reduce Barolo’s massive tannins, he had reduced customary fermentation times and abandoned the submerged cap method in favor of pumping over – all radical decisions at the time. 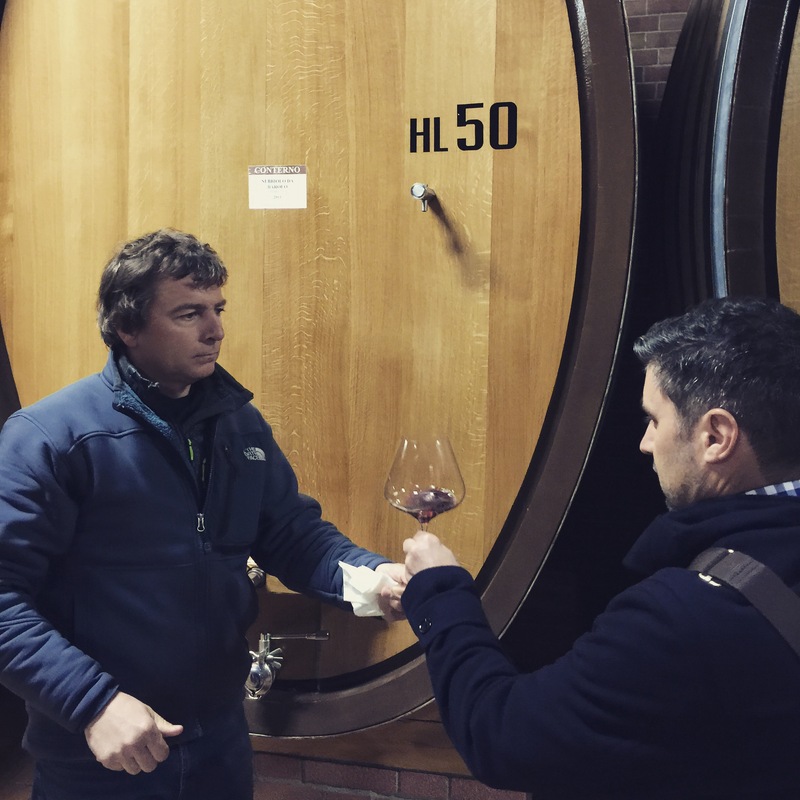 Although he allowed his sons Franco, Stefano and Giacomo to use barriques for the firm’s other wines, he insisted on large Slavonian casks for Barolo. VINEYARD: Conca Tre Pile in Bussia (Monforte d’Alba). TIME OF HARVEST: first week of October. VINIFICATION: red, with skin soaking inside stainless steel vats. VINIFICATION TIME: the must stays on contact with the skins for about 8 to 10 days and it is further drawn off wine ; finally, the alcoholic VINIFICATION gets complete. VINIFICATION TEMPERATURES: from 26 to 28 degrees centigrades. CELLAR REFINING: the new wine spends a few months inside stainless steel vats, it is transferred several times, and, consequently, it is poured onto barrels (“barriques”) where it remains for 12 months; finally, it will be bottled. NOTES: the “Conca Tre Pile” is a hilly area in Bussia Soprana whose main vines are Barbera’s with vineyards having a maximum age of 45 years. The barrels (“barriques”) are 100% made of new wood. VINIFICATION: in wood with maceration of the skins in large Slavonia oak casks. PECIES OF VINE: Nebbiolo, Michet and Lampia varieties. VINIFICATION TIME: the must remains in contact with the skins for 60 days, during which the alcoholic fermentation is fully completed. VINIFICATION TEMPERATURES: variable with maximum peaks of 32 degrees centigrade. CELLAR REFINING: once removed the new wine remains in large Slavonia oak casks where it ages and refines for 32 montha. NOTES: the Barolo Reserve Granbussia is produced by blending grapes from the oldest vines, from the Romirasco, Cicala, and Colonnello, before fermentation starts, in the following percentages respectively: 70% – 15% – 15%. Naturally these optimal values may vary depending on the year. The Granbussia remains in the cellar for at least 7 years before commercialization. It is produced exclusively in the best years and in limited quantities. VINIFICATION TIME: the must stays on contact with the skins for 30 days: during this time the alcoholic VINIFICATION gets fully complete, and the wine is then drawn off. VINIFICATION TEMPERATURES: changeable, with highest peaks of 32 degrees centigrades. CELLAR REFINING: The new wine is racked several times before transfer to large Slavonia oak casks where it is aged and refined for 28 months. NOTES: the vineyard “Colonnello” is about 40-45 years old and, to maintain it, its vines are replanted from time to time. The main variety of Nebbiolo is Michet and its rootstock is 420 A.
VINIFICATION gets fully complete, and the wine is then drawn off. NOTES: the vineyard “Cicala” [meaning: balm-cricket] is about 40-45 years old and its vines are replanted from time to time. The main variety of Nebbiolo is Lampia and its rootstock is Rupestris du Lot.